Our organization is highly instrumental in offering a supreme quality range of Potassium Humate 90% Crystalin the market. The offered products increase soil aeration and soil workability by improving crumb structure in the top soil. In addition to this, these products are highly appreciated in the market for industry leading prices. Clients can avail from us superior qualityPotassium Humate 90% BSP Type 1which is manufactured by using high grade material. These are widely appreciated by our clients, which are situated all round the nation. We offer these Potassium Humate Crystal at most reasonable prices to our valuable clients. Potasium Humate We are one of the leading suppliers of a quality range of Potasium Fulvic Humate Powder. These are used for increasing the fertility of the soil. It is obtained by extraction of brown coal, lignite or leonardite. These are widely used for conditioning the soil, stimulating growth rate of plants and many more related applications. offered are available in form of shiny flakes that are completely water soluble and contain in the constitution potassium humate and fulvic acid that adds on to the overall superior usage value of the product. 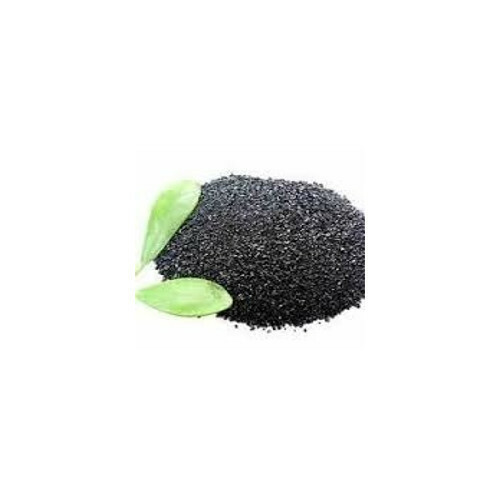 Available in form of blackish brown flakes, these have uniform size and support the demands of root development as well as helps in enhancing overall structure of the soil. Further, these are also suitable to be used in foliar applications. We are introducing our product Sovam Gold Granulated Organic Fertilizerwhich is a purely organic fertilizer useful for intensive organic cropping pattern. It is highly effective, economical and eco-friendly product for soil application. Sovam gold contains numerous plant nutrients derived from organic matters. 150 to 200 kg per acre for short duration crops like Groundnut, Paddy and Vegetables. corner of the country. These PHN Thyroid Care Capsules are quality assured via rigorous testing and screening at the time of procurement. To prevent any kind of quality damage, these Capsules are stored and transported by us in quality controlled environment. Furthermore, our prices are also affordable. Noni juice is a dietary supplement extracted from the exotic fruit noni, and is commonly marketed as a general health tonic. Manufacturers promote noni for lowering cholesterol, promoting healthy blood sugar levels and for cancer fighting benefits. As with all dietary supplements, speak with your doctor before taking noni. Clients can avail from us superior quality Potassium Humate 90% Crystal which is manufactured by using high grade material. These are widely appreciated by our clients, which are situated all round the nation. We offer these Potassium Humate Crystal at most reasonable prices to our valuable clients. offeredareavailable in form of shiny flakes that are completely water soluble and contain in the constitution potassium humate and fulvic acid that adds on to the overall superior usage value of the product. Available in form of blackish brown flakes, these have uniform size and support the demands of root development as well as helps in enhancing overall structure of the soil. Further, these are also suitable to be used in foliar applications.